McGill’s Virtual Acoustic Technology (VAT) offers new solutions in the key areas of performance by focusing on the electro-acoustic coupling between existing room acoustics and simulation acoustics. 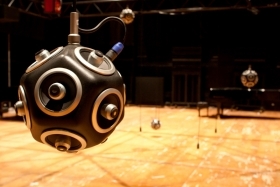 An innovative electro-acoustic enhancement system, based on measured high-resolution impulse responses, is currently in development at the Virtual Acoustic Technology (VAT) Lab of McGill University. 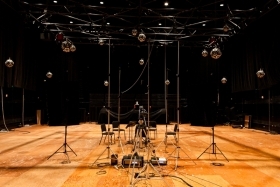 Since 2005, the research team at VAT Lab has measured high-resolution room impulse responses of various acoustic spaces. Consisting of 2 sub-woofers, 2 super-tweeters and many other types of speakers, between 8 and 14 loudspeakers are placed in a room to generate slow logarithmic sine sweeps. The acoustic responses are then captured in an 8-channel surround microphone configuration with 2 height channels at 32bit/96kHz resolution. The virtual acoustic response is created using a low-latency hardware convolution engine and a three-way temporal segmentation of the measured impulse responses. 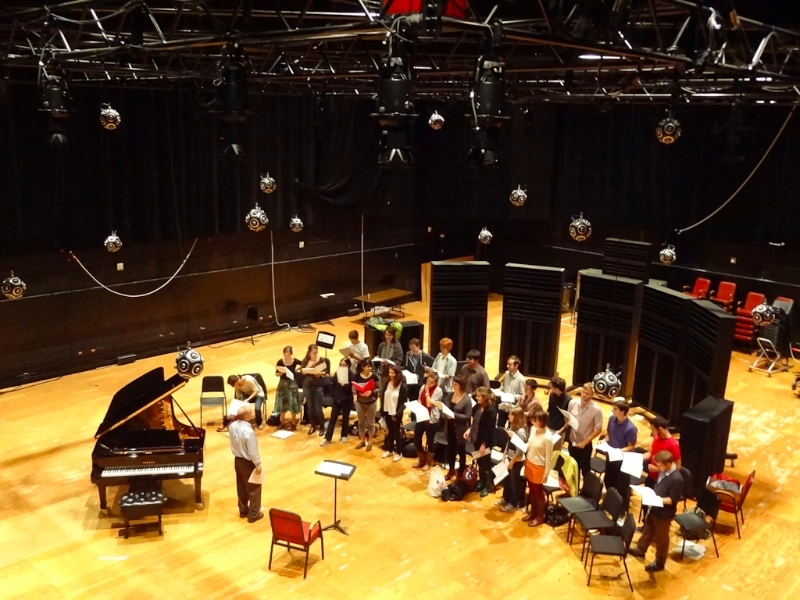 Field tests are currently underway at McGill University involving performing musicians and ensembles in order to fully assess and quantify the benefits of this new approach in active acoustics. Musicians receive acoustic support from room models stored in the diverse library of measured architectural spaces. They can blend in desired components of room responses in order to improve their own interaction with the room and other players. The objective measurement of the system adjusted to improve on-stage acoustics verifies the enhancement of parameters such as inter-aural cross correlation coefficient (IACC), early stage support (ST1), and early decay time (EDT) without excessively increasing the overall acoustic energy in the room. These parameters are responsible for controling subjective aspects of clarity, reverberance and immersion. 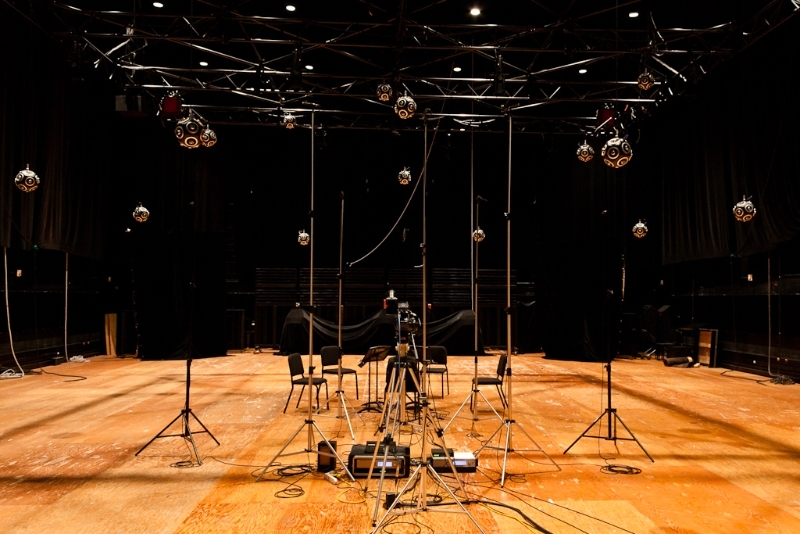 The subjective evaluations collected from multiple recording sessions with professional musicians using the system show that musicians uniformly agree on the best settings providing the enhanced acoustic conditions for a particular performance. Choral ensemble and string quartets are able to “play the room”, and they find virtual acoustics to be a helpful and enjoyable means for enhancing their musical performance.